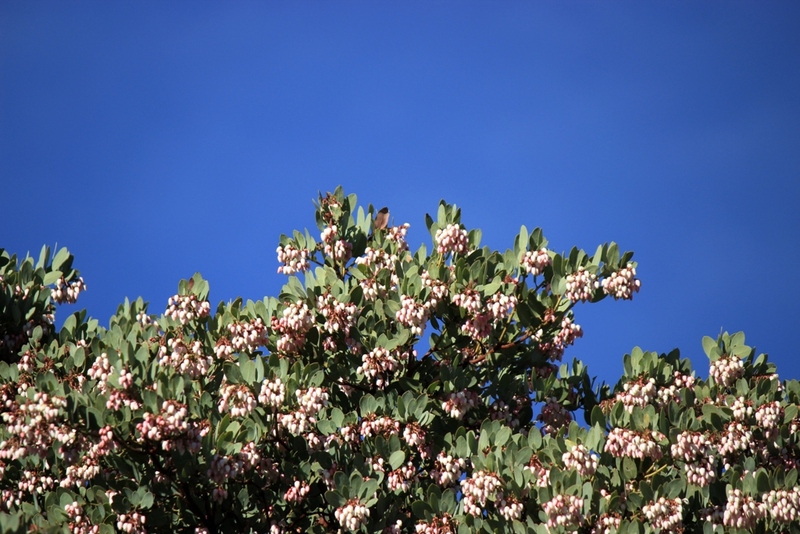 Manzanita is flowering at the moment. 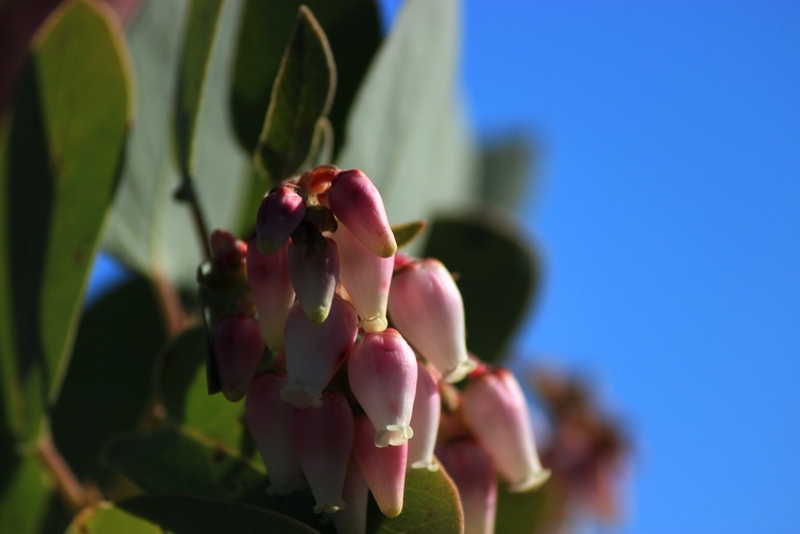 The Chumash Indians ate manzanita berries or fruits by preparing them in a variety of different ways and other Native Americans used the leaves for medicinal purposes. The wood was used by some to smoke fish. The fragrant flowers can be gathered and soaked in water overnight to make a sweet tasting infusion. While the flowers themselves have an astringent, mouth drying taste, Mazanita infused water has a pleasant, delicate floral flavor. This entry was posted in Reference and tagged Backpackng, Drinks, Flora, Flowers, Foraging, Hiking, Indians, Manzanita, Native Americans, Nature, Photos, Wild Edibles. Bookmark the permalink. Jack, you forgot that every bird cage, in the ’50 and ’60s had a Manzanita Branch in it, for the Parakeets to stand on. When I was younger I had few birds and an aviary and I use manzanita for perches. Jack I am sure enjoying your blogs, thank you. Hey John. Glad to hear that. Thanks for stopping by. Thanks Lanny. Good info and advice.